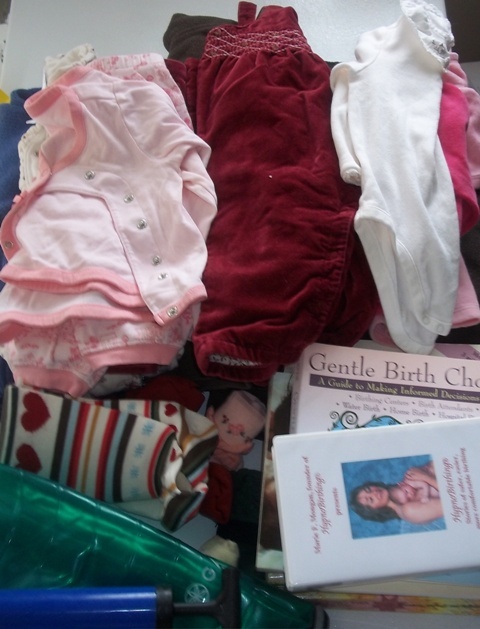 This week I decluttered 34 items, most of them my kids’ outgrown clothes to go to the garage sale pile and books about giving birth and being pregnant. I have now purged my home of 1,322 items. What I am most excited about, though, is that I have shut down my eBay store and am in the process of liquidating the inventory. Every day that I get rid of the clothes, I feel so much better. Our study has so much room now, and I am not even done yet. I hope to be completely free of eBay within the next 2 weeks, and then I will write a post about it and share with you fully my delight in closing this chapter of my life. Have you been decluttering? If so, please share your results in the comments. That’s awesome progress! Now you can focus on your writing like you planned. 🙂 Have a wonderful 4th!